BRUSSELS – March 6 – Hang onto your hats cowgirls and cowboys! Bombslinger, the action-maze game filled with more explosives than a whiskey-fueled Fourth of July, will come to Nintendo Switch, Xbox One and PC on April 11, 2018. Our pals at Mode4 will keep the classic penny-arcadey four-player free-for-all game mode the bomb throwing genre is known for, but are reimagining the solo adventure with procedurally generated levels, character progression with skill upgrades, and a variety of offensive and defensive items, all while telling a tale of revenge that is right at home in the Wild West. The story follows the Bombslinger, a ruthless bandit turned peaceful rancher on a quest to avenge the murder of his missus and destruction of his ranch at the hands of his brother, the Gunslinger. Currently in something called “Steam Early Access”, which I can only imagine is some sort of locomotive ride, the full launch of Bombslinger will debut our hero’s final showdown with the Gunslinger and enough new items, environments and enemies to fill a general goods store. 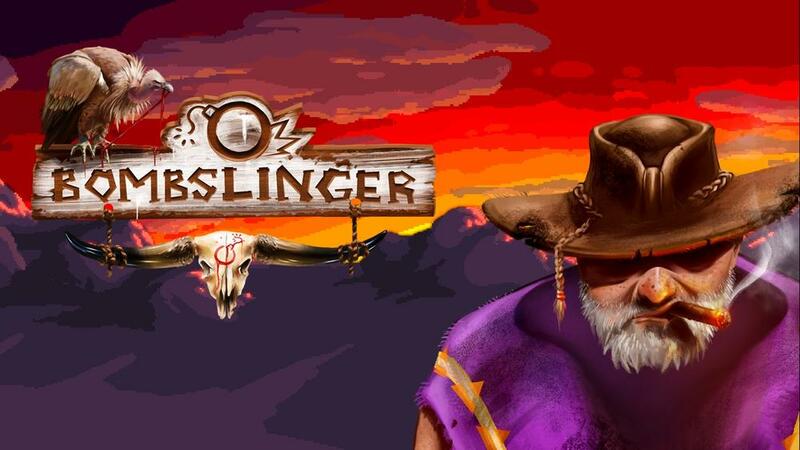 You don’t need to live in the Wild West to enjoy Bombslinger. This adventure will also be told in French, Italian, Spanish, German, Dutch and Simplified Chinese.